Why are balancing capacity, efficiency and cost accounting EVIL? And what do you need to do to improve your shop? Please tell me what you think of the video (what’s not clear, what you still want to know, etc) by leaving a comment! And if you take action based on this video, please share your experience and results. Remember — you can do this anonymously. Yes! I think we are playing Whac-A-Mole! Lisa… Sounds like you have been reading my material on job shop scheduling. However, your diagnosis of the problem does not make sense. If I want to cut lead time and offer faster service to my customers which is a competitive advantage, then I do not want work languishing in a queue before it hits the floor. I want to get it on the floor as soon as possible because then I can get it out the door sooner. This is different from wanting to maximize utilization. As far as maximizing utilization of equipment, I agree with you. However, in your example of saw-turn-mill-grind-pack/ship you failed to point out that the saw is a fast operation and can probably out pace every other machine in the process. That means the saw will be idle for a significant portion of the time which is fine. In a machine shop you need particular pieces of equipment when you need them whether or not they are fully utilized. Seems that you are confusing a mass production build to stock system with a job shop when it comes to processing work. Because work in a job shop is uneven (feast or famine on the input side), lead times will expand and contract with the volume of work unless capacity is managed. (See my article, Do You Know How to Play the Accordion: Managing Capacity in a JOb Shop Environment). I think it was published by SME or maybe FMA. Anyway, speaking of conventional wisdom which is what TOC has become, you might want to investiage the Theory of Delays which is more applicable to these types of environments. Hi Vincent. Thank you for your comments, however, you do NOT understand my position. The video my have been confusing. Sorry for that. I am saying you must REDUCE the queues and REDUCE WIP. I agree you want to get work off the floor as soon as possible. We also want to get the work on the floor as soon as possible, but only to the point of some maximum WIP. If we keep shoving work in faster than we are getting it out — WIP goes up, queue time goes up. And I do not want to maximize the utilization of ALL resources and particularly, to your point, the saw. You are correct that the saw usually has way more capacity than everything else with a few mix exceptions. Conventional Wisdom is to maximize ALL resources (except maybe the saw). If you agree that there is always a bottleneck it will not be possible to maximize all resources unless WIP is really high which means queue time is long. So, I think maybe we are more in agreement than not. And, given the number of shops I’ve been in and the challenges people reported, I can say that TOC is NOT even close to Conventional Wisdom. If it were, these problems would not exist or it would be to a much lessor extent. My analysis of the problem is based on working with a number of shops. In my next video I will start into the direction of the solution and the first step everyone should take TODAY. Lisa…I am not understanding your position. If you want to reduce the ques and reduce wip, then you have to increase capacity in order to eliminate the bottleneck. I think you are missing the fact that a bottleneck is a moving target in a job shop environment where line balancing does not apply, all the sources of variation you mention and more come into play, and work coming into the shop is generally feast or famine. A bottle neck may exist one minute and then disappear the next as one of these sources of variation come into play. Also, I think you conception of a job shop production system as an in-line process…saw…turn…mill…etc. is conventional wisdom from a mass production environment. A job shop production system looks more like a star with all of the points (work centers) interconnected. I’ll be interested to see how you schedule a shop using TOC. Sorry for the delay, I was on a flight and then dinner with a client. But I was looking forward to getting back to you! This is fun, thanks! Your statement “you have to increase capacity in order to eliminate the bottleneck”, I respectfully submit is an assumption. Increasing capacity is A way of dealing with the moving bottleneck, but not the ONLY way. And in my experience, not the best way. It is certainly more risky to make these investments. I have stated that in job shops the bottleneck DOES move (so we agree on that). And in the video I explained why — because we balance capacity and then the mix changes and the 9 challenges happen. If you increase capacity where a bottleneck appears, you ARE balancing capacity by definition. This is not TOC. But it is what people generally think TOC is saying. I have been in job shops around the world with Dr Goldratt and I assure you, I do NOT think they are a mass production environment. In fact, I have stated that they are highly custom environments. This highly custom environment is why people have difficulty applying TOC — it is difficult to leverage a moving target. I’m glad you are open to hearing about a different way of running and scheduling a shop. I will give an overview in my next video and then provide details on the first step. Thank you for your comments and for allowing me to further explain. Lisa… Let’s take stock. Here is where we agree. First, a dialogue about job shop scheduling is important as most shops are laboring under a concept of scheduling handed down from mass production operations which are far more stable and do not suffer from the sources of variation you mention in your video. 2. That these types of schedules are, in fact, Dead on Arrival. 3. That seeking to maximize machine utilization in order to satisfy a set of accoutning rules is misguided. Where do we appear to disagree. 1. I don’t see WIP as evil unless it is being used in a misguided way to maximize machine utilization. 2. Where you think TOC is a remedy based on eliminating bottlenecks and getting work through faster, I think cutting lead time is a far more effective strategy for improving performance and profitability in these types of businesses. 3. Where you seem to minimize the importance of managing capacity, I see it as crucial because the workload varies so dramatically from customers. Where we seem to have communications disconnects. 1. I don’t know what you mean by balancing capacity. Do you mean level loading a production process? 2. Managing capacity does not mean adding expensive equipment. That ais an assumption on your part. There are half a dozen ways to increase capacity when the workload baloons which it does in these feast or famine environments. 3. I do not think you view job shops as mass production environments. What I was alluding to was the process example you used in your video which is derived from a mass production environment. Job shops work on a number of jobs all at the same time, each of which can go through different processes in different configurations. You may have been trying to show a simple process for the purpose of illustration, but it was misleading. I am saying that these types of order driven businesses tend not to turn down orders even when they cannot complete them within the promised delivery dates. They may not know this when booking the order. Therefore, they must have a way to manage capacity (increase and decrease) in order to satisfy customers and remain competitive given that most customers want fast service. By the way, the simplest and most common way of increasing capacity is to work overtime. 5. You appear to focus on the shop in the context of the business. I am focusing on the business in the context of its environment which means satisfying customers. The performance metric I use for job shops is orders out on time and on budget (on budget means less than the estimated cost). When a shop can do this consistently, it will be profitable and competitive. Overall, my sense is that you belive TOC is a panacea for all manufacturing environmetns just like the proponents of lean seek to apply their “solution” to order-driven businesses without fully understanding the differences between custom and mass production. How does TOC work in a job shop when you don’t have the luxury of turning down work? The higher the WIP the longer it takes to get a job through the shop. This is a fact, not just my opinion. There is a proven correlation between WIP and leadtime. Hence a TOC approach does reduce lead-times and increase cash flow. TOC is NOT about eliminating bottlenecks, there will always be a constraint somewhere. It’s about managing flow. And it results in shorter lead-times, better cash flow, less chaos and more profits. I believe it is VERY important to monitor load vs. capacity. I believe that “managing capacity” is also very important. You previously said “add capacity” and typically adding capcity is expensive because it is done by adding equipment, working overtime, adding a shift, etc. Managing capacity, however, can be done without expense. Balancing capacity is not the same as load leveling. I am not saying that you will need to turn away orders. In fact, I’m againt that. And Ive never met a shop owner who would do that anyway. You do need to monitor and manage capacity. In most shops, when we start working with them, their constraint is internal. They are NOT meeting their due dates. Then we apply our Velocity Scheduling System which reduces WIP, reduces lead-time and has the effect of uncovering capacity and getting them to 99+% on time. Which means their constraint moves to the market. But in all case, meeting customer committments is very important. Our Velocity Scheduling System is NOT off the shelf TOC. The off the shelf TOC does NOT work perfectly in a highly custom environment. How does TOC work in a highly custom environment? I’m working on the next video, can we pick this up after that video? It may help our conversation. Lisa…I am looking forward to seeing how your Velocity Scheduling System works. I am following the above discussion between Vincent and yourself. I am very aware of Vincents position. One of the biggest challenges I have is the metrics to our sales staff at any given time. Is the market the constraint or is the manufacturing system or resources within the constraint. The confusion for a job shop lies with what is the true system constraint each day or even hour. This in its self is the true constraint because it prevents a company from making decisions and therefore money. No job shop company I know of has a dedicated saw operators that is even close to your five resource analogy or lean balancing example. Most shops combine several resources for one operator and move labor to the bottleneck resource and add labor hours to a bottleneck resource without additional overtime. We schedule resources like saw, mill, grind, assemble, inspect /ship as a determinant path or sequence that estimates due dates. I only look at the resources that add the value the customer pays for. I believe a large % of job shops already have made the step beyond balancing resources or they are not in business now. One more thing about WIP. Not enough WIP may cause a starved system. With that I mean protective buffers of work in fornt of the resources that are most likely to be overloaded. Once one minuet is missed at a over loaded resource because of policy or lack of sales is a minuet that can never be recovered and cost what ever sales minus material per time lost is. Look at stocking repeat parts as a way to fill in the valleys of lost (constraint) resource time. The real cost of the inventoried parts when the market is the constraint and the resource is availible is the material. Wip then should be calculated as material costs only. The challenge here is the standard cogs accounting policy and when to create imventory. The important part here is you have put time on the shelf for the cost of material. Then when the repeat order comes at a time when the resource is booked pull that time off the shelf. Not to much at one time and rule of thumb may be based more on how many times that resource is starved per month etc. Jim, thanks for your comments. – Yes your constraint moves, I have already agreed that this is the case in your environment. And yes it can even bounce from ops to sales and back. And I agree that this makes management focus and attention difficult. This is one of the main reasons the Velocity Scheduling System was developed. – I did not say the saw was a dedicated resource. It is a sequence in your process or you can think of it as a department. And I agree that most shops move people around to balance capacity and no one mans the saw 100% of the time. – Lower WIP may starve a person or a department for a short period of time. But buffers everywhere (high WIP) has many many negatives as well. And, your constraint is only at one place at any one point in time, so you only need to buffer where the constraint is. The problem of course is that your constraint moves. That’s why I’ve said the off the shelf TOC is difficult in your type of environment. The Velocity Scheduling System was adapted for a highly complex, custom, ever changing environment. -I’m fine with make to stock orders to fill in. I don’t know enough about your system to comment further and I can’t tell if you’re just sharing or you disagree with something. -I agree that WIP should be valued as raw material costs — this is a key concept in Theory of Cosntraints and Throughput Accounting (what we use instead of cost accounting). So — are you willing to give my suggestion a try? If not, this system may not be for you. That’s okay. But I hope you will be open to possibly learning somehting new. I belive I am already. The challange is communications. When the constraint moves so does the …. Ok, thanks for the clarification. Can you share with the group the benefits you received when you first reduced your WIP? As far as communication goes, how we handle it in the Velocity Scheduling System is — we make it visual. This helps the floor and sales but only with the jobs that have been released (or are in process). For the jobs that have not yet been released we have a second visual system so that we make sure we have full kit (everything we need to run the job) prior to releasing it to the floor. And, we have a process for monitoring the “To Be Released” jobs to manage bottlenecks and to communicate with sales the date we can currently meet for delivery. In addition, in this management side, we can also respond to urgent requests and determine what effect (if any) moving a job to the top of the “To Be Released” list would have on the due date of all the other jobs. This management is probably similar to what most companies try to do now, but find it very difficult with all the variability and wondering bottlenecks. – the order to implement. What to do first, then second and so on is important. – that the first steps we take need to provide BIG results to get the buy-in and support to continue. – that the scheduling and priority of the shop needs to be visual. – that the visual scheduling system facilitates eveyone’s involvement and the desperately needed communication throughout the shop. – how to create an effective scheduling system that does not require massive computing and manpower to run. – how to accommodate a complex environment where the constraint moves frequently. – how to implement the Theory of Constraints process of on-going improvement so that we continuously improve. – and, how to coach managers and supervisors to get it done. 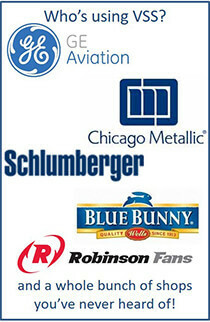 Changing the subject a bit… I just returned from doing an analysis of a company that makes and repairs electric motors. Their scheduling system is to release work to all departments when a job is won and then to use an overall schedule by due date to let all the departments (10) know the priorities and what to complete firsts, second, etc. This seemed logical to have everyone working on the same job. This does not work and WIP is at several million dollars with extensive overtime as people scramble to meet ship dates when they lack all the necessary components to complete an order. Our solution strategy was to reconceptualize the production system and create departments at different organization levels depending upon their function (sort of like a multi-level BOM). Once management agreed with the new organizing concept, we developed a proposal to show what it would take to make the concept operational which would reduce WIP and ovetime. I was thinking of Lisa and thought it would have been interesting to see how she would have addressed the problem vs. our approach. That would have been very interesting — to really compare and contrast our approaches. Yes the bounce you get form the inventory (WIP) reduction is tremendous by reducing released work to the floor. Yes this is true but the bottom line jolt is a one time deal…then what is the next…there is no finish line! Agreed — it IS a process of on-going improvement! The inventory effect on the P&L is a one time blip. But the improvements in cash flow, in process time, less chaos, and improved DDP continue!